- AWA Comiskey Park '74 (September 7) = Putski, Larry Hennig, & the Crusher won over Nick Bockwinkel, Billy Graham, & Ray Stevens. 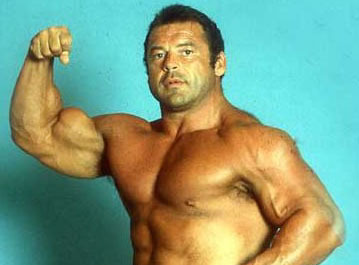 - WWWF Showdown At Shea '76 (June 25) = Putski took down Baron Scicluna. 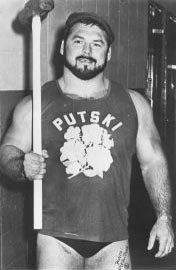 - NWA Florida Superbowl of Wrestling (January 25, '78) = Putski defeated Ox Baker. - NWA/WWWF World Title Unification (February 23, '78) = Putski beat the Bounty Hunter. - WWWF Showdown at Shea '80 (August 9) = Putski took down Johnny Rodz. - NWA/WWF World Title Unification (July 4, '82) = Putski & Tom Prichard won, via DQ, over the NWA World Tag-Team Champs, Ole Anderson & Stan Hansen. - WWF Michigan State Fair (August 28, '85) = Putski defeated the Missing Link. - WWF The Wrestling Classic (November 7, '85) = Putski was pinned by Randy Savage in the first round of the Wrestling Classic Tournament. The Junk Yard Dog won the tournament. - WWF Legend's Battle Royal (November 16, '87) = Putski was beaten by Danny Spivey.